PB&J PEEPSomars start with a caramelized cookie bottom, then salty peanut butter, and finally the fluffy PEEP on top all wrapped in chocolate. Yes, they are addictive! Thank you for asking. Don’t say I didn’t warn you. It’s the first day of #SpringSweetsWeek! I can’t believe it’s here already. It literally is SEVEN days of recipes involving spring and some form of sugar. Brown sugar, powdered sugar, granulated sugar, sugar syrups, crystallized sugar; you name it! So, prepare for an ultimate sugar high all week long! There is nothing more iconic for spring and sweets than PEEPS. Those yellow little chickies in celophane are prominent every year around this time. Of course, I remember when it was just chickies for spring. Now there’s bunnies and FLAVORS! But for me, I stick to the traditional yellow chickies. I don’t know why I’m so obsessed with PEEPS except for the fact that they’re so darned adorable. And they have such an iconic shape. It’s not even that I love eating them. Because I’m not a huge marshmallow fan. But there’s just something about those cute shapes I love. Rewind several years ago. Construction for the new waterfront downtown started. They built up a rather large hotel, several stores, some restaurants, and even an outlet mall up the street. The hubs and I went down there just to wander around and see what was there. Low and behold, there is a PEEPS store there! It’s the first store ever! It opened in 2009. I was like a kid in a candy store. Like a real candy store! There were shirts, stuffed PEEPS, slippers, PEEPS candy; you name it!! However, that’s now how I came to own a stuffed PEEPS toy. I think I filled out a form with some UPCs, sent in some money, and order a blue Peep chickie. And yes, I still have it. It makes me smile every time I see it. When I received the PEEPS, I tried to let them speak to me. Okay. I see you chuckling. But admit it! You’ve done the same thing when you receive sponsor product to work with. I didn’t want to use them as a garnish for something. And I didn’t want to turn them in krispy treats or some sort of s’more treat. So I started searching, where else, PINTEREST for recipe ideas. Then I was thinking about my sister and her family and how they have one member they call tim tam, like the cookie. Then it hit me! For those that don’t know, the mallomar is a graham cracker cookie topped with marshmallow coated in chocolate. There’s also pinwheels, marshmallow clouds, and Easter puffs. However, these cookies are more like the Canadian version called Whippet cookies. They have jam in them. These have jam in them. But if I called them PEEP-pets I’m sure something would get lost in translation. I just took these cookies a few steps farther than their manufactured counter parts. The cookie base that these PEEPS sit on are Biscoff cookies. Yes, it was difficult not eating the whole package of those bad boys, but I saved enough to make these little gems. Not only did I insert some jam into the center of the PEEPS, but I also dipped them into some peanut butter. So, yeah, I have that PB&J thing going on with these cookies. And let me tell you, it was so worth the effort, too! Finally, I dipped the cookie bottom in chocolate, let that cool, then dipped the whole Peep-omar in chocolate. I wanted to make sure the bottom was completely covered in chocolate, so I did that double dip method. Skimping on chocolate is not something you can accuse me of during Spring sweets week. I bet you didn’t know that Just Born, who makes PEEPS, didn’t create PEEPS. They bought the Rodda Candy factory who was producing those famous marshmallow treats. Now, they make 5.5 million PEEPS every day. Currently, it only takes 6 seconds to make a Peep. But in 1954 it took over 27 HOURS to make one peep by hand with a piping tube. That’s just crazy! Just Born also makes iconic candies like Mike & Ike, Hot Tamales, and Peanut Chews! You’ll see Hot Tamales show up on my blog for Burger Month. You won’t want to miss that recipe. They have also partnered with Betty Crocker to share PEEPS-inspired creations. I’m sure they didn’t come up with these, though. Just look at how cute those PB&J PEEPSomars are! I keep taking pictures of them because I just love how the came out. That iconic shape is still there. All that delicious marshmallow flavor is there along with some sweet jam and salty peanut butter. And don’t get me started on the cookie base. I mean, they literally were the PERFECT shape and size for these PEEPS. The coconut oil I used wasn’t as fresh as it could be. I’m sure that’s probably not something you really want to hear about from a food blogger. But, it happens! Otherwise these would be completely gone. COMPLETELY gone! So, PSA make sure your coconut oil is super fresh and you’re golden. It’s funny because as I was standing there scooping out the coconut oil I was thinking to myself, “Nana use to use paraffin wax for things like this.” And it’s true! I have a recipe for bourbon balls. It calls for bourbon, powdered sugar, chocolate, and paraffin wax. I kid you not! If I had paraffin wax, it would be a non issue. Just sayin. How can you resist those? I certainly can’t. That chocolate shimmer, the salty peanut butter; these PB&J PEEPSomars are just delicious. I know if you’re put those out at Easter they will vanish. VANISH I tell you! But don’t vanish from this post. I hope you scroll down and read all about the giveaway, the recipes from the rest of the bloggers, and enter the giveaway! Also make sure to follow PEEPS on Facebook, Twitter, Pinterest, Instagram, and YouTube. They share delicious recipes using PEEPS, their bunnies, and all their range of flavors. Are you #TeamPeeps or #TeamBunny? PB&J PEEPomars start with a caramelized cookie bottom, then salty peanut butter, and finally the fluffy PEEP on top all wrapped in chocolate. Yes, they are addictive! Thank you for asking. Don't say I didn't warn you. Put the jam in a pastry bag fitting with pastry filling tip. Carefully insert the tip into the PEEPS. Squeeze the pastry bag as you slowly pull the pastry tip out of the PEEPS. Place the peanut butter in a shallow, microwave safe bowl. Heat on high 1 minute. Stir the peanut butter and if there’s still lumps allow it to sit or microwave an additional 30 seconds until melted. Dip the PEEPS into the heated peanut butter and place on a Bischoff cookie. Allow the peanut butter to set. Combine the chocolate chips and coconut oil in a microwave safe bowl. Heat on high 1 minute. Stir the chocolate mixture. If there are still lumps, heat an additional 30 seconds until the chocolate is emooth. Dip the bottom of the PEEPSomar until the chocolate and allow to cool until hardened. Once hardened, dip the whole PEEPSomar into the melted chocolate mixture completely covering the cookie and PEEPS in chocolate. Allow to set before devouring! Welcome to the inaugural #SpringSweetsWeek. Heather from Hezzi-D’s Books and Cooks and Christie from A Kitchen Hoor’s Adventures are hosting this flavor packed event! What better way to celebrate the spring than with food and a fun giveaway? 30 bloggers have come together to share over 100 sweet recipes that are perfect for spring! Ditch your hats, coats, and snow boots! Get ready for delicious sweet treats like cupcakes, cookies, breads, and cocktails, too! Our #SpringSweetsWeek sponsors are helping us give away some great prizes. Thank you for your generosity. They have provided some awesome prizes to win. Click here to read about it and enter the giveaway! Swiss Diamond Cookware is giving one winner an XD Nonstick 6 Piece Newlywed Kitchen Kit! 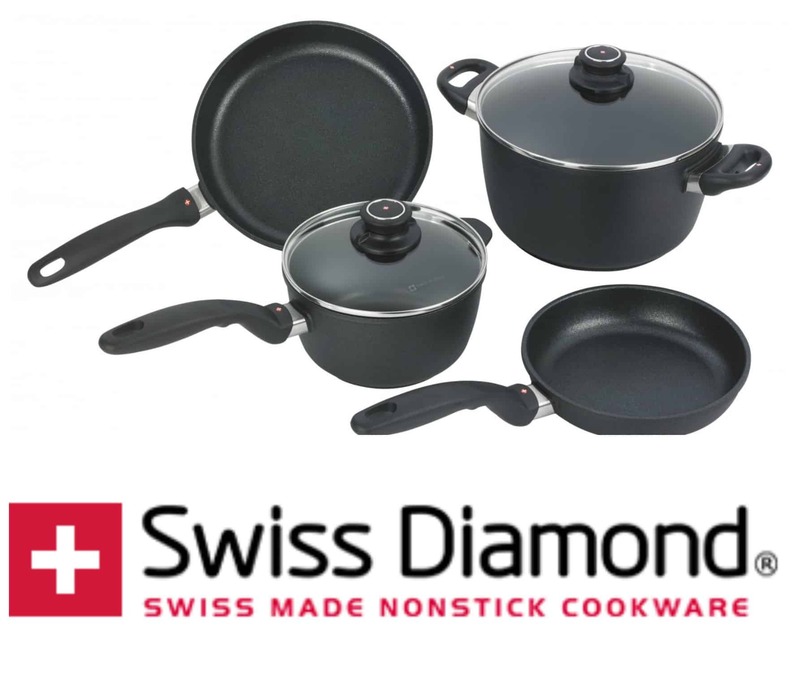 Swiss Diamond’s 6-Piece XD Newlywed Set is the ultimate nonstick cookware collection. There’s a pot or pan for nearly every recipe you can think of! Nothing conducts heat more efficiently than diamonds. This, combined with the extra-thick cast aluminum body, gives these pans even heat distribution. With this superior heat retention, they sear ingredients as well as stainless steel, but without the messy cleanup. The XD nonstick coating releases so well, you can cook anything without a drop of oil or butter. This set includes a 9.5″ fry pan, an 8″ fry pan, a 2.2-quart saucepan with lid, and 5.5-quart soup pot with lid. Swiss Diamond® International dates back to 1974. HORT Coating Center SA, founded in Sierre, Switzerland as a scientific research company. They were exploring new materials and surface coatings. Fast forward to 2001, when development for a revolutionary nonstick coating suitable for cookware occurred. This led to the creation of Swiss Diamond® International SA. Visit https://www.swissdiamond.com/ for delicious recipes and the best nonstick cookware around. There’s also a lot of handy fondant tools like a roller, cut-out sets, impression mats, modeling tools, shaping foam and a fondant smoother. It’s a cake decorators dream! 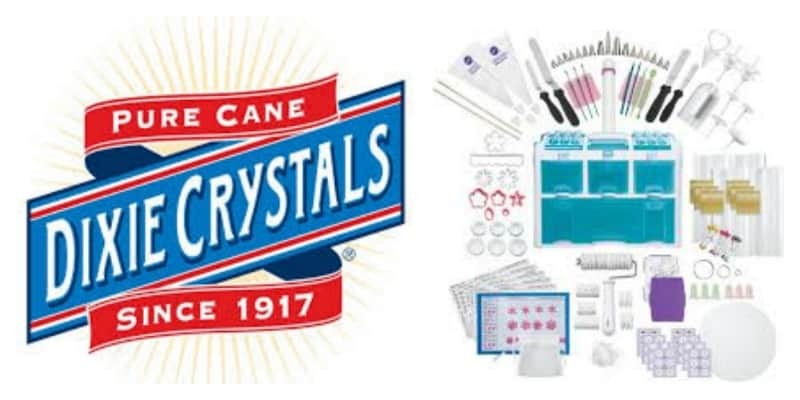 Dixie Crystals® is the South’s choice for high-quality sugar and sweeteners since 1917. Their pure cane sugar products are all natural, non-GMO and provide consistently delicious results. Visit www.dixiecrystals.com for hundreds of recipes and holiday ideas. They also have great ways to get kids baking in the kitchen and plenty of baking videos. 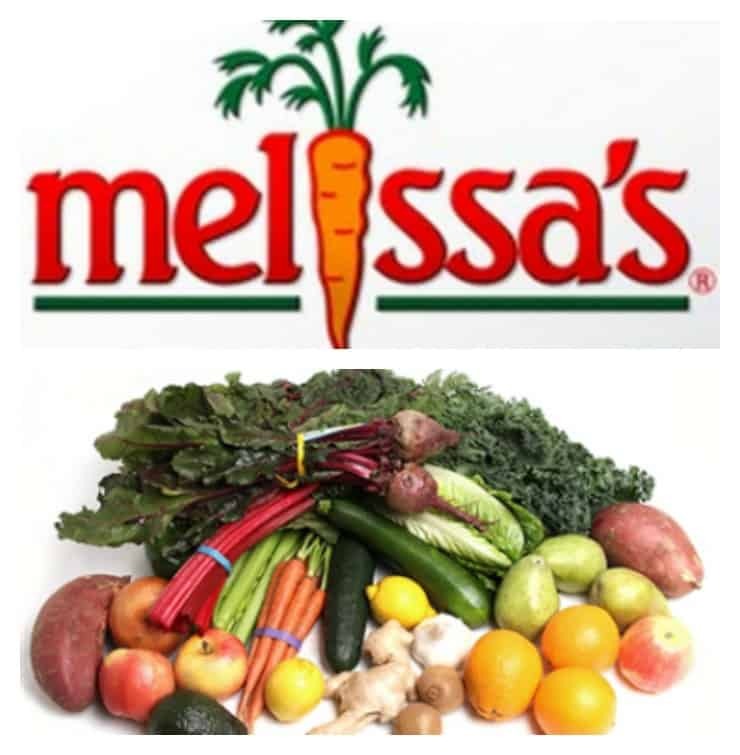 Melissa’s Produce is giving one winner an Organic Family Produce Box full of 100% organic fruits and vegetables. The box includes including kale, cucumbers, apples, pears, lemons, oranges, carrots, onions, celery, garlic, and so much more! It’s easy to get in your five servings of fruits and vegetables with this fun produce box. Joe and Sharon Hernandez founded Melissa’s Produce in a small, rented produce warehouse lunchroom. With a decade of produce industry experience, their original office had three telephones and four chairs. In a few short years the company would expand into a renovated, 280,000 square foot office and warehouse complex. The Melissa’s brand name comes from Joe and Sharon’s daughter, who takes an active role in the company. Today, the company’s Food Service Division has become a full-service operation. It supplies culinary professionals with staple and exotic produce. They also offer a full line of organic produce. Visit https://www.melissas.com to find the best fruits, vegetables, gifts, and to get tasty recipes! Chuck and Sue Kesey opened Springfield Creamery in Oregon right after they got married in 1960 . Initially, they focused on bottling glass jugs of milk for home delivery and school lunches. When Nancy Van Brasch Hamren joined the Creamery in 1969, she shared her recipe for making yogurt. Nancy’s became the first yogurt sold in the United States to contain live probiotics. Today they have grown to 60 employees and distribute to all 50 states. Springfield Creamery currently makes over 100 cultured dairy and soy products. 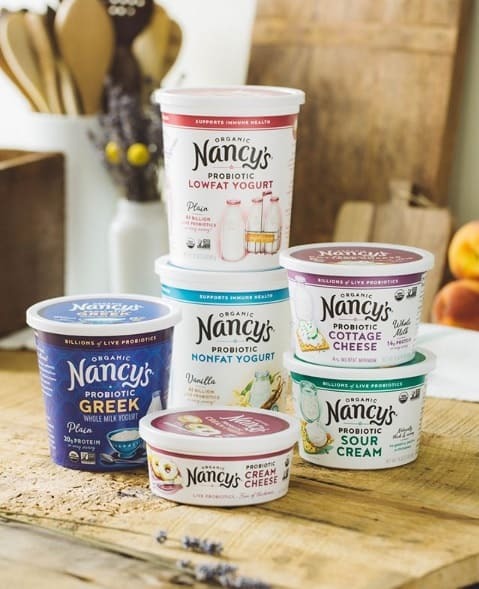 To learn more about Nancy’s Yogurt, the products they sell, and how they make their products visit https://nancysyogurt.com/. PEEPS is giving one winner a gift card to PEEPS® & Co. The winner can choose from a variety of delicious PEEPS® & Co candy and apparel items. They have fun gifts like throw blankets, slippers, plush bunnies, and socks. The choice is yours! Founded in 1923, the Just Born that makes PEEPS® & Co., started in New York. But in 1932 they moved to Bethlehem, Pennsylvania in 1932. The Just Born name coined by by founder, Sam Born, refers to his window displays. Sam Born proudly displayed candies made daily in his store window. He would declare them “just born” in the windows and the name caught on. Today we enjoy the unforgettable taste experience of PEEPS® Brand Marshmallow Candies. That wonderful combination of sweet colored sugar and fluffy marshmallows are nostalgic. Visit https://www.marshmallowpeeps.com/ to view PEEPS® & Co. candy, gifts, and apparel. 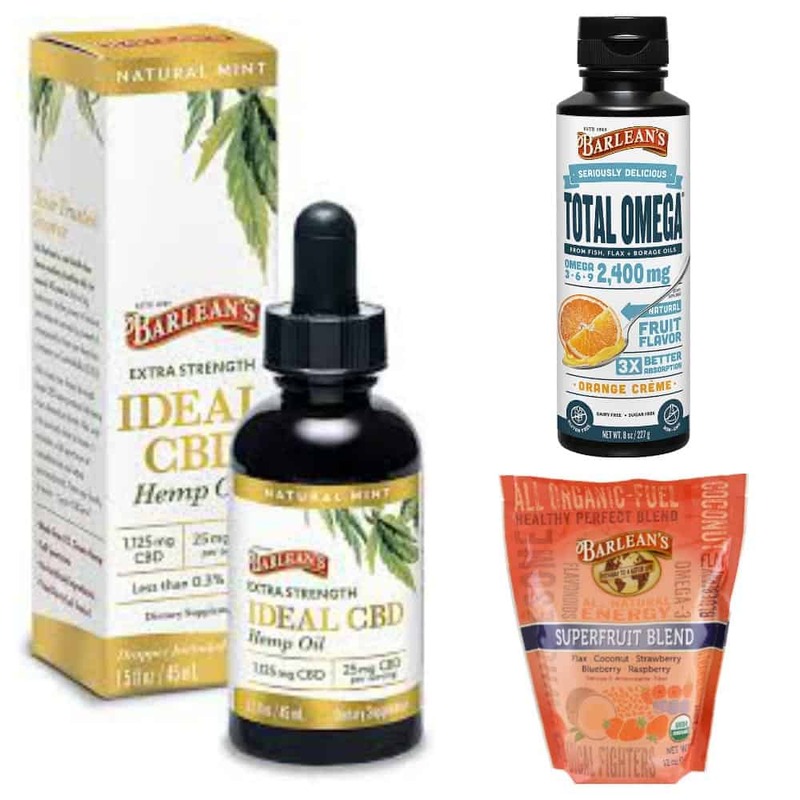 Barlean’s is giving one winner a bottle of Seriously Delicious Omega-3 Extra Strength Ideal CBD Hemp Oil and a bag of Super Seeds. Seriously Delicious Omega-3 is a tasty way to add Omega-3’s to your diet without a fishy after taste. Made from US grown hemp, the Extra Strength Ideal CBD Hemp Oil contains no artificial ingredients. It has a natural mint flavor, is gluten free and vegan. The oil promotes health and keeps people resilient to changes in their environment. Super Seeds are a delicious way to add antioxidants and Omega-3’s to your morning meal. Barlean’s believes that people can make a difference in the world through ordinary purchases. They are on a mission to make premium natural supplements and functional foods that feed the mind and body. They use their profits to support outreach programs around the globe for people in need. Visit https://www.barleans.com to learn more about their products, community, and where you can purchase their products. John A. Adams began making and selling his Green Plant Sarsaparilla extract in 1888 in Battle Creek, Michigan. Working with only $6.71 worth of materials on top of an old icebox, Mr. Adams created a new formula for vanilla. His wife tested it by whipping up a cake and announced, “John, this is the BEST flavoring I have ever used.” “Well, that’s old man Adams’ BEST,” he responded. The name stuck, and Adams Best was born! Today, Adams manufactures and markets under several Adams Brand banners. These include Adams Best®, Adams Extract®, Adams® Seasoning & Spice, and many more. 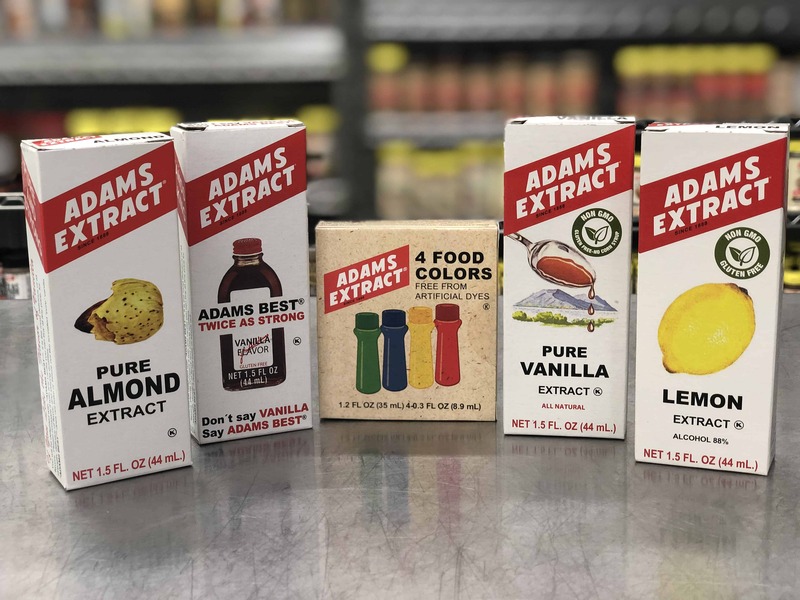 To learn more about Adams Extract, to shop their products, or to find delicious recipes visit https://www.adamsextract.com/default.aspx. Sprinkle Pop is giving one winner six fabulous sprinkle mixes from their Easter collection. These fun sprinkles are a great addition to any spring or Easter baked goods. Liz Butts founded Sprinkle Pop. She can pinpoint exactly what sprinkle color combinations work best together. Liz can also create a custom blend with the perfect textures. She grew the business from a one-woman operation out of the small “sprinkle room” in her house to a dedicated warehouse space. Liz now has a devoted team of sprinkle fairies. 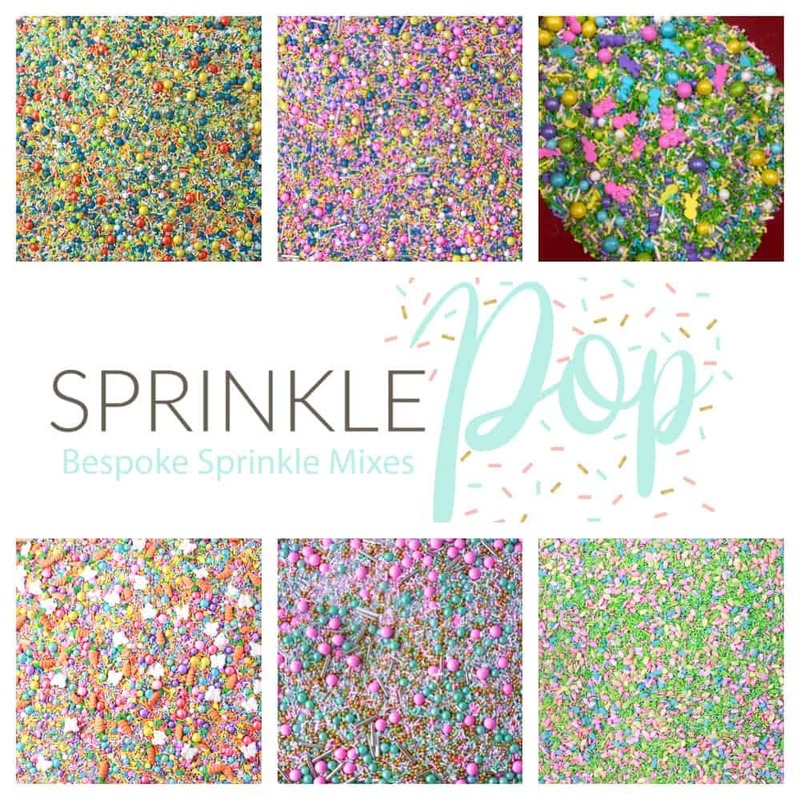 She makes delicious sprinkle mixes that are custom, vibrant and luxurious. Over 50% of her sprinkles are dyed in house so they are one of a kind! Visit https://sprinklepop.shop/ to shop their sprinkles, learn how they give back to the community, and for fun recipes! This is such a terrifically fun dessert/snack! I can’t wait to make it and try it for myself. I hope you do! They’re oh so delicious. These are brilliant! They look and sound amazing. That burst of jelly is such a treat! Thank you! It’s that little surprise you didn’t know was there. Wow, these have everything going for them… PEEPS, sitting on top of a cookie with PB&J, then dipped in chocolate. Pure bliss. I hope you do. They’re so delicious. I will be making more for us with all the PEEPS we have. These are super adorable, and I love the inclusion of PB&J! I can never keep Biscoff cookies in the house long enough to use them in recipes unless I hide them in the vegetable bin. My guys never look there! This is brilliant! It’s funny how we have to hide foods. I have to hide leftovers until I can photograph them sometimes. These PEEPS treats are just too cute! I love that you combined them with peanut butter and jelly for the ultimate treat! Thank you! Like a grown up PB&J treat. I can absolutely see how these are addictive! Peeps were my favourite Easter treat as a child, and you’ve really taken them up a notch with a biscuit bottom and chocolate coating! Right?? So addictive. I made a mocked up version of some last night as a snack. Girl. You didn’t. 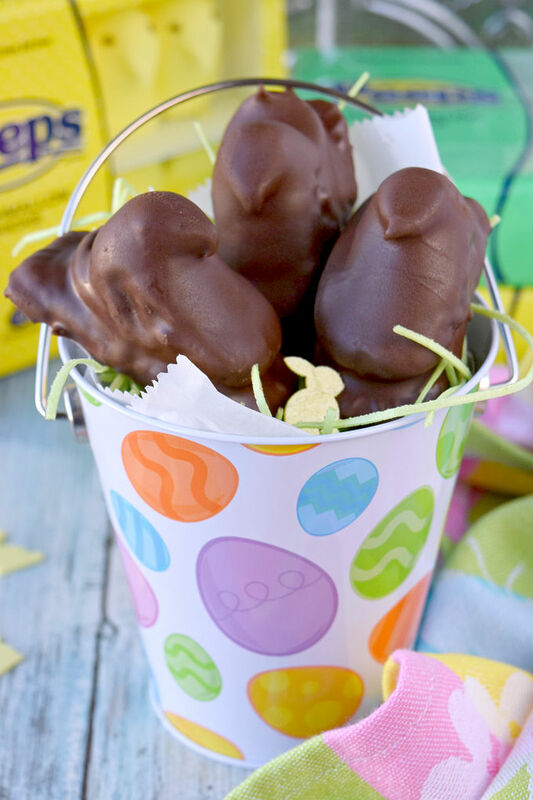 You took the world’s best Easter candy and dipped it into chocolate. WHY HAVEN’T I DONE THIS BEFORE??? Be still my heart. I love what you did with the PEEPS!! Your chocolate is so shiny too! So creative. Thank you! I know it’s not the professional way, but I always heat mine up in the microwave. Works like a charm. These are so creative and so, so fun! What a fun idea! The picture of the peeps with glossy chocolate on them is making my mouth water! These look awesome! I love that they are dipped in chocolate. They would be the perfect centerpiece or hostess gift for Easter! Definitely! A perfect little gift to give to family and friends. Mine would never turn out! But they look so fun! great post! Love it! I thought the same thing! But the stars aligned and voila! Oh my goodness, these look incredible. I love PEEPS but this takes them over the top. All the little flavors you added to them. I bet I wouldn’t be able to stop eating them. Thank you! I made a smaller version of these night to snack on. So good. What a fun way to use the Peeps! Pinned!! Oh my goodness what a fun idea! These look really good. What a cute and delicious confection! Sounds like a great flavor combination and a great treat for the holiday. This is such a wonderful idea Christie. I wish I would have thought of it. I used all my chicks but I have some bunnies left. Now I have a recipe for them. I plan on making some with the bunnies, too. Might be a little difficult to get the jam inside, though.